Voice of China becomes Voice of Diaspora Chinese. It's actually a good development for the show to take and internationalizing it, especially when song and music can really bind people together regardless of how far they wander off. 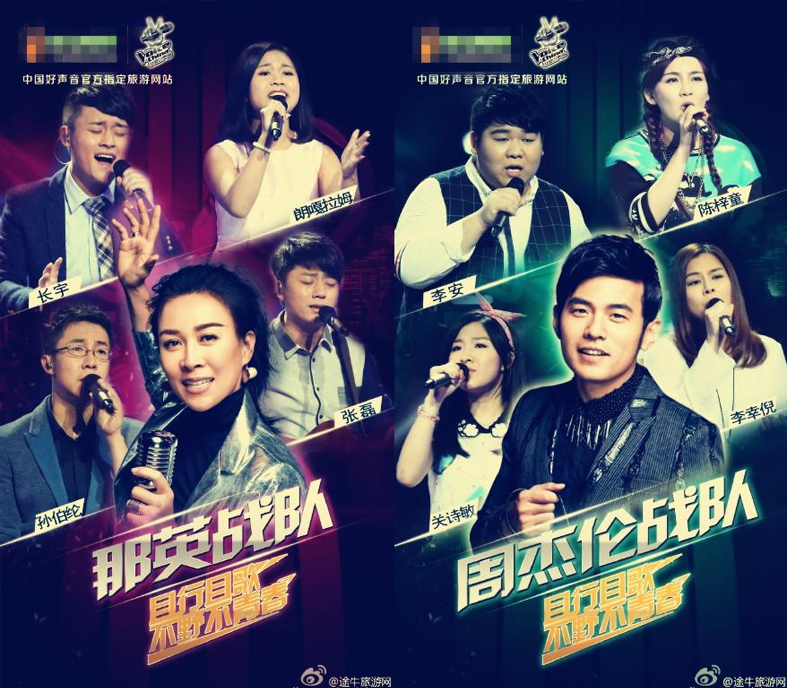 Na Ying's team set the bar really high by singing a spine-chillingly beautiful rendition of Jay's song, 烟花易冷 and the Madam herself even rapped a considerable length of the song. Thereafter, Jay led his team in singing NY's song 出卖 and F.I.R's 你的微笑. 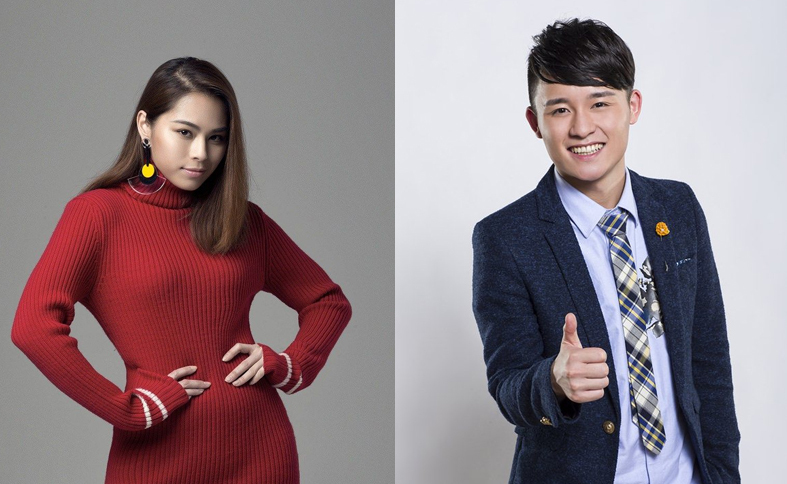 Cool performances that showed the contestants' maturity and improvement, especially their potential to become celebrities as their X-factor glowed. Can anyone withstand Zhang Yu's ability to shut everyone up with how gentle and soothing his voice is? He is so careful and lovely with his singing, and he is actually singing a classic 心动 (which means 'the stir of a heart')... okay, I am instantly smitten. By the way, his Facebook page is always updated, with cute videos of xiaokaxiu with... Lang-ga-la-mu. ;) Unfortunately, Zhang Yu's beautiful performance is matched with an even more captivating Li Xin Ni's bringing Angel to greater heights. Li Xin Ni has become exponentially better than before (if that is even possible!) and has instantly and single-handedly raised the standard of this season. I love how she added personal nuances to this over-performed song. 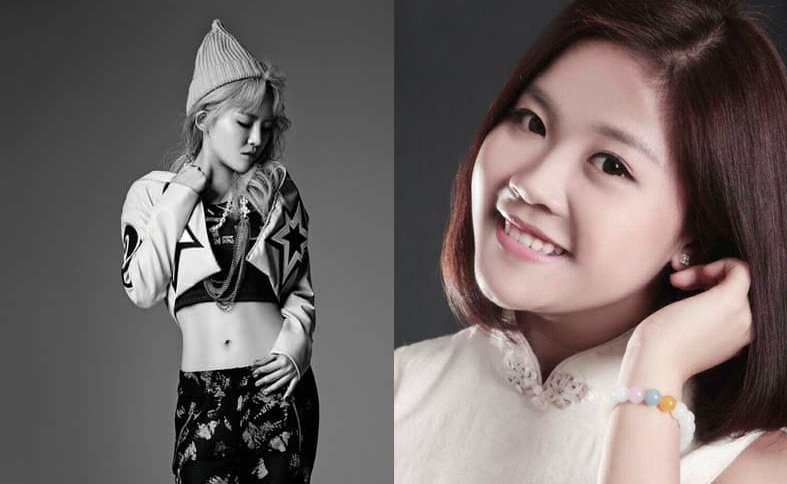 Li Xin Ni wins (28 votes), for good reason. 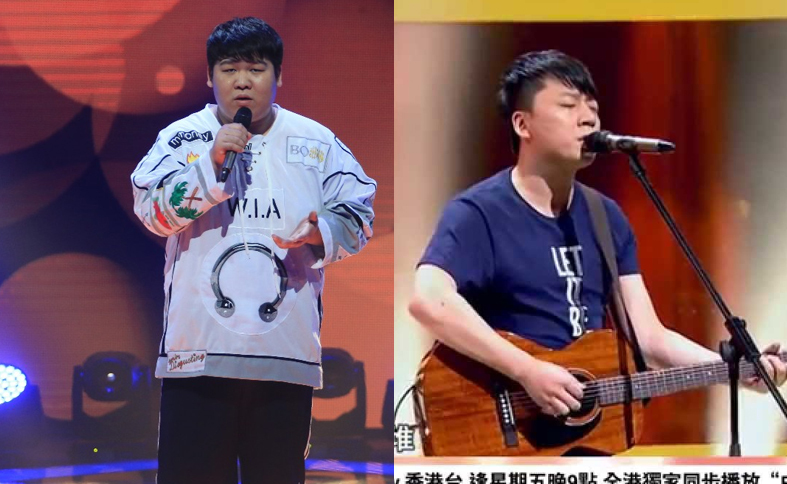 Slightly disappointed for Zhang Yu's (23 votes) loss because I like his quiet comforting voice, but it was only reasonable for the results to be like this. Each of the judges' mini versions of them take the stage. Whoever leaves the competition will be such a devastating result! But it has to be done. La-mu does a 一剪梅 which incites a beautiful imagery in the mind as I listened to her singing. It is really difficult to sing this because there's not much back-up music or band input for this song and much of it is dependent on her voice. Somehow it is kinda unexciting, but very pleasant to listen. 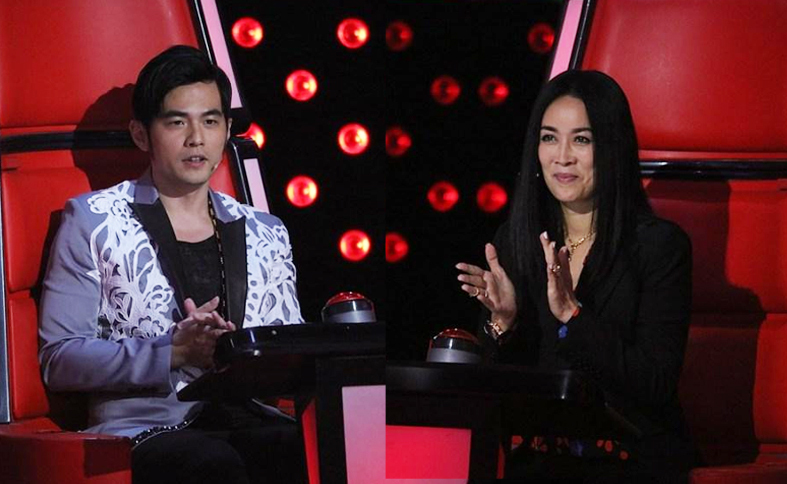 Chen Zi Tong was a face of complete nervousness before she started, but slowly eased into her usual confident gait after the first verse. I appreciate the re-choreographed 可爱女人 with a lot of soul feel, which allows audience to see the extent she can do 'normal singing' other than her amazing rap. While catchy and fun, it doesn't draw me in as much La-mu's performance. Halfway I'm not sure why she reminded me of Season 1's Ding Ding, but the less-sultry and more rock version. 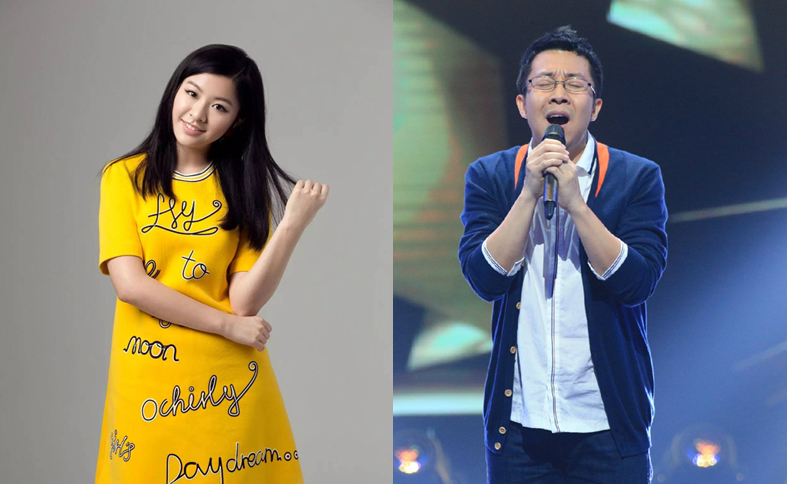 Chen Zi Tong wins (38 votes). I want to say that the media choice is rather superficial and based on entertainment value, and Lang-ga-la-mu definitely deserves way more than 13 votes. Zhang Lei is an amazing black horse. I never noticed him, until he made me cry within the first five lines of his singing. What the hell, right? A simple guitar, a simple song that I've never heard before, rustic and mundane lyrics... but there's a mysterious power. Who is this guy, I've never really thought how good he is until this point in time. Initially, I thought Li An will definitely pummel him down into smithereens for sure with his Disney-worthy voice...! But no, Zhang Lei can definitely hold his own fort. Li An sings a Jay-Chou-sque version of 爱我还是他 which has a more resigned slant of an emo love song rather than an emotional, heartbreaking sort like Wang Nai En & Li Hao Han's PK version in Season 1 which I highly recommend. I prefer the latter even though it's less technically perfect because I think it's meant to be that way... personal choice, alright. Sun Bo Lun wins (28 votes) by a slim margin. Guan Shi Min managed to win 23 votes. Maybe they saw something in her that I never realized. Some of the media representatives expressed that she has the potential to be a pop idol sort, but she certainly won't appeal to me. I am so glad I found this blog and The Voice of China episode summaries! Also - Team Queen T, yo.